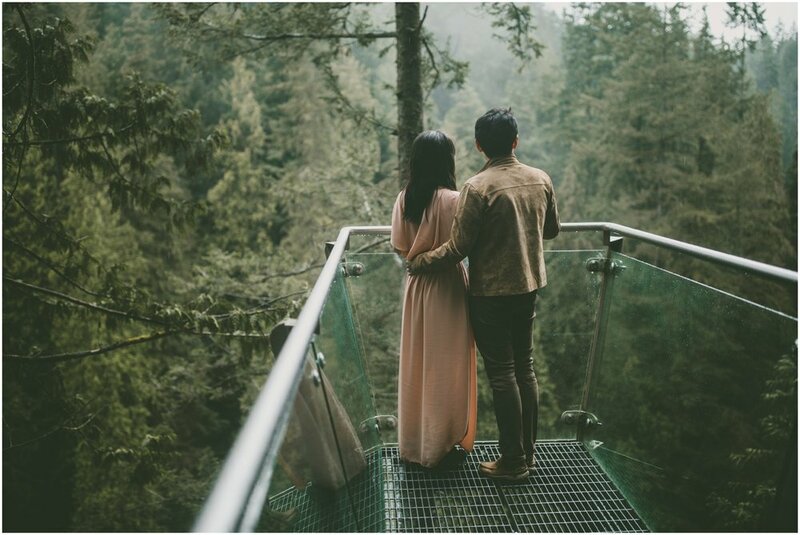 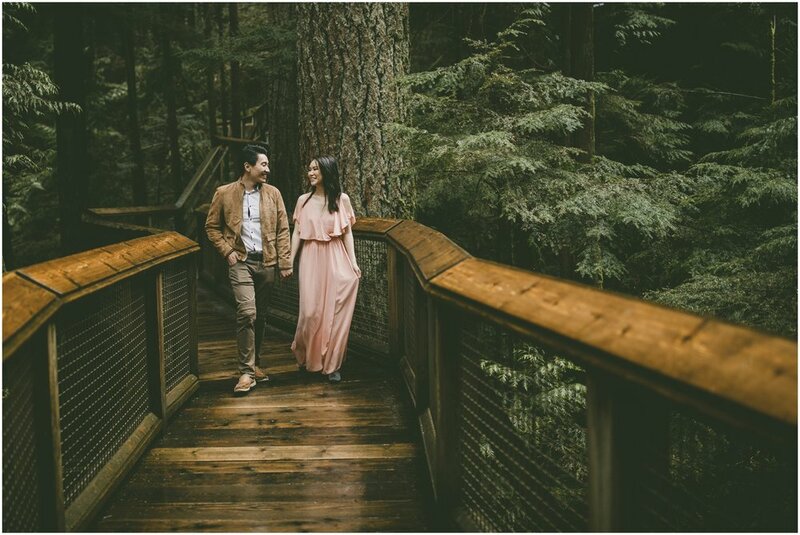 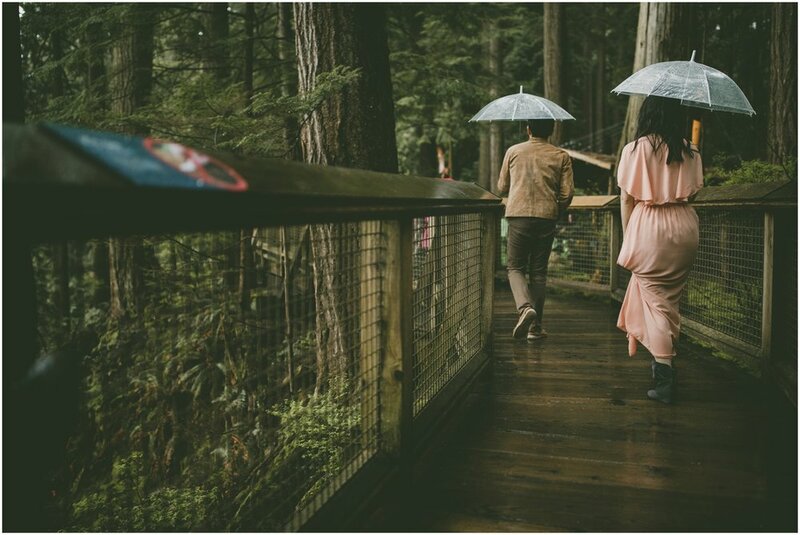 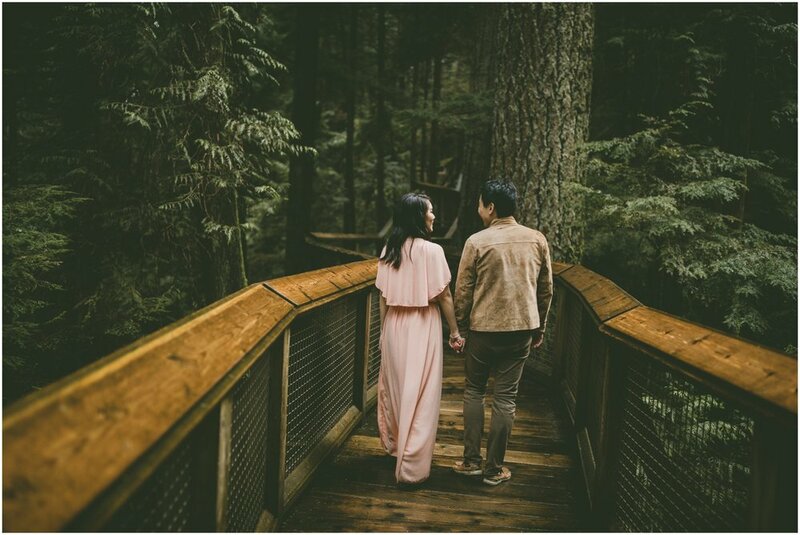 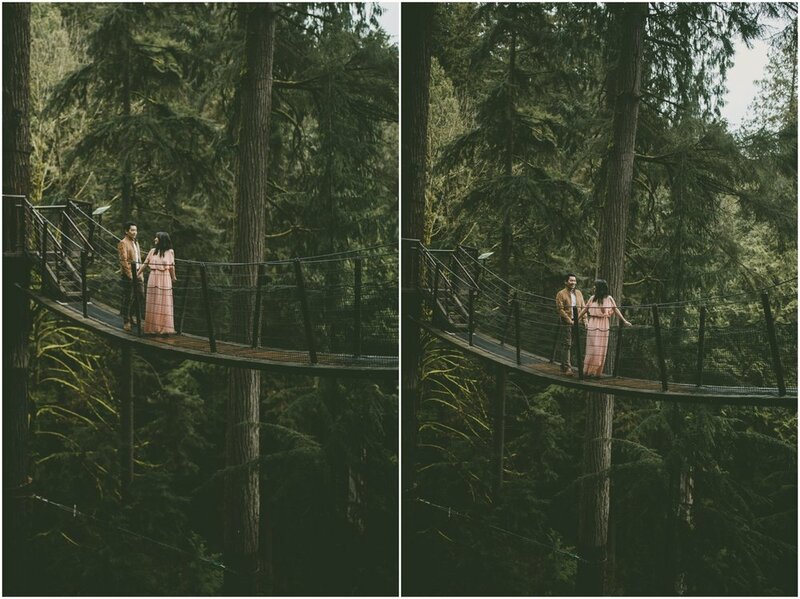 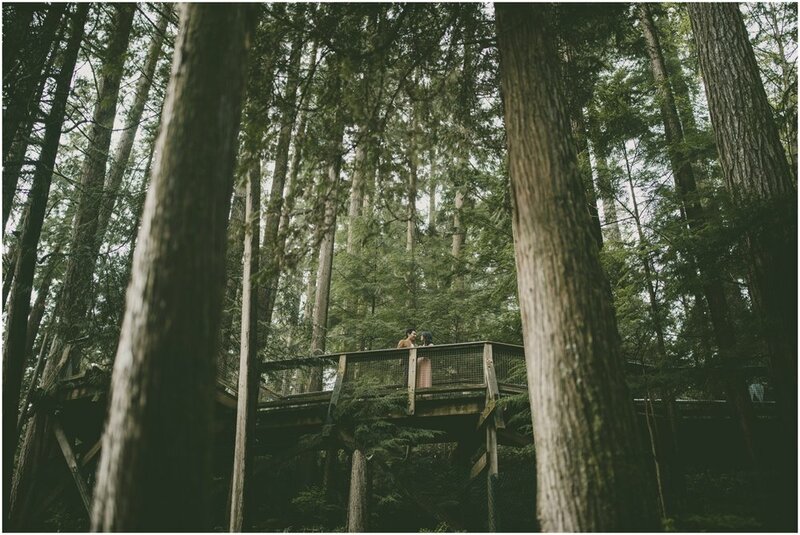 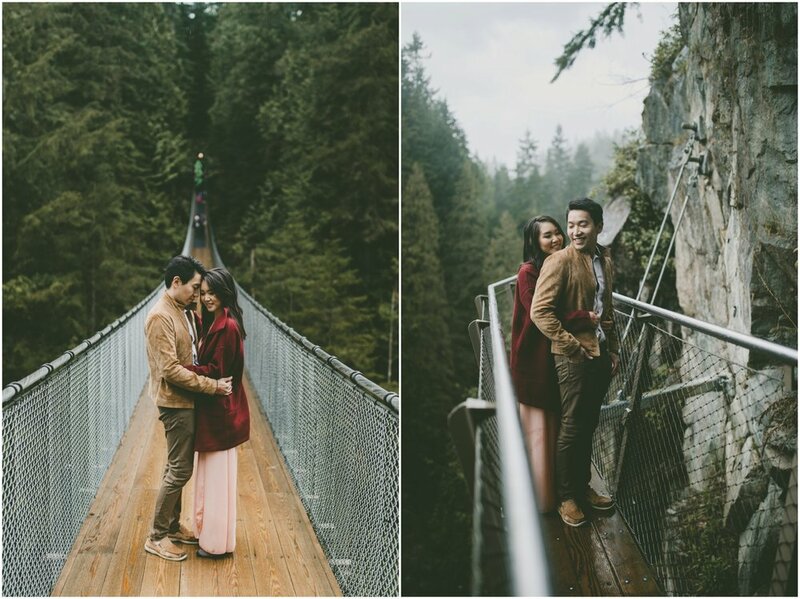 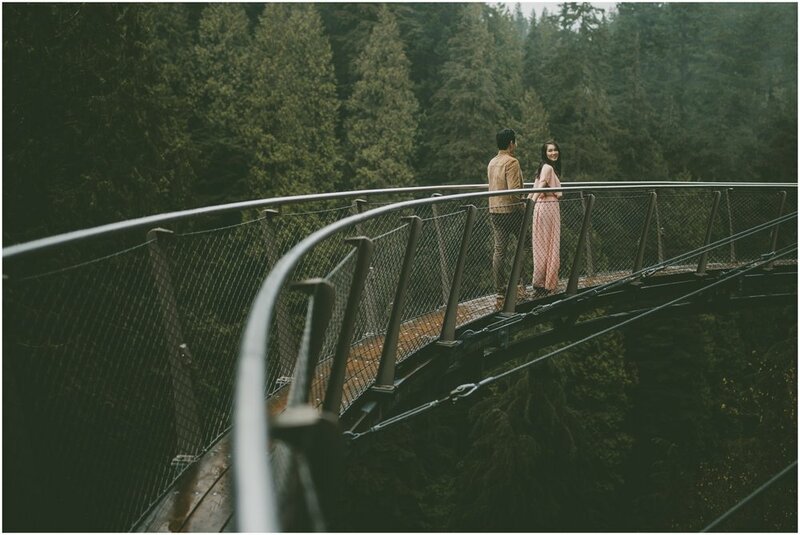 Nicole and Joel braved the rain and the crowds at Capilano Suspension Bridge for their engagement photos. 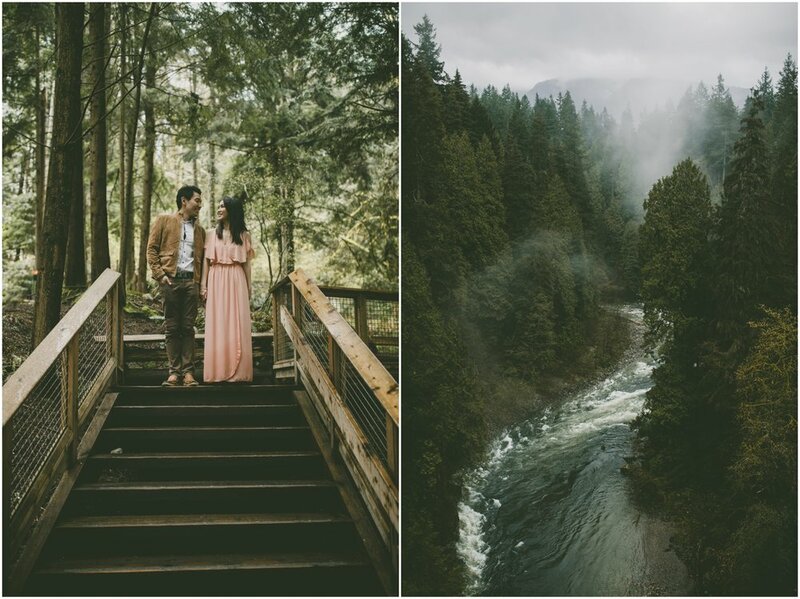 The rain made for extra moody images full of PNW fog and green tones. 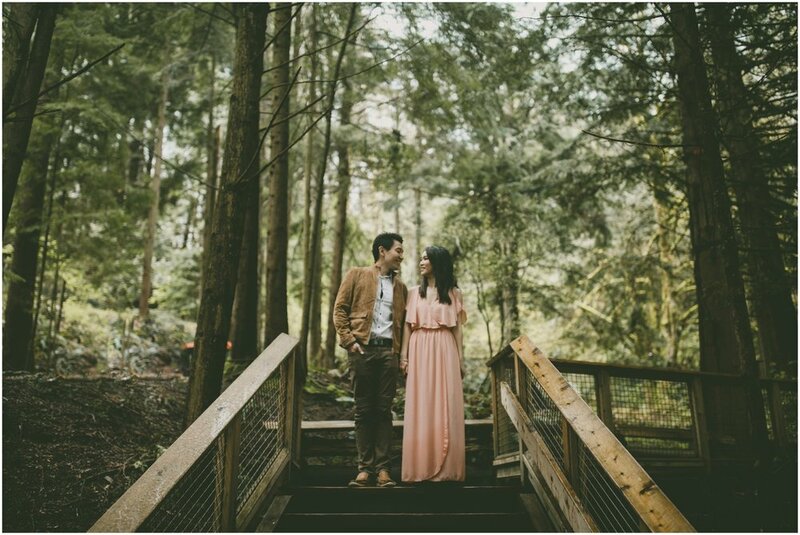 These two interact with one another with a sweet and gentle love that made me smile throughout their entire session. 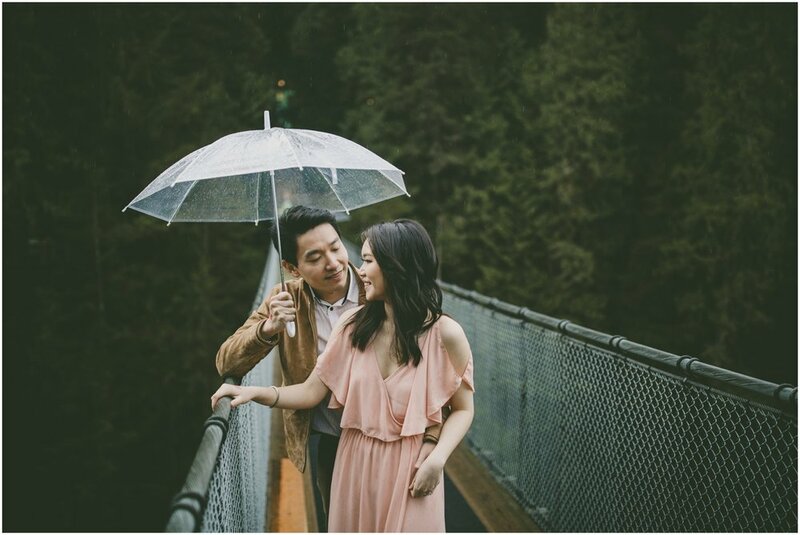 Nicole would always grab an umbrella for Joel first, and he would hold his umbrella over her whenever she would take her jacket on and off. 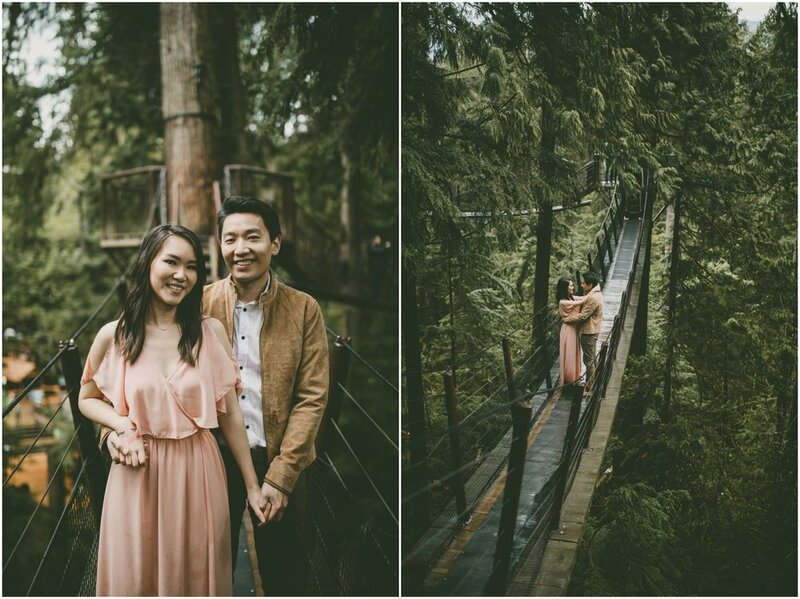 These two are also expert slow-walkers and made my job super easy, even in the pouring rain!